Nestled in a quiet cul de sac, this modern brick and tile home is set on a low maintenance 600m2 block. Conveniently located a short drive from Narangba Train station, Bruce Highway and within many school catchments, this home is both stylish and functional perfect for any busy family. The home features four bedrooms all with built-in wardrobes and ceiling fans. The large master bedroom has a walk in robe, en suite and is bathed in natural light with 3 large windows. The well appointed kitchen has plenty of space, a large pantry and beautiful stone bench tops. The whole family can lounge comfortably in air conditioning with the kitchen, living and dining being an open plan space. Walking through the large glass sliding doors at the back of the home you’re greeted with an undercover patio space great for entertaining with plenty of room for the kids to run around. 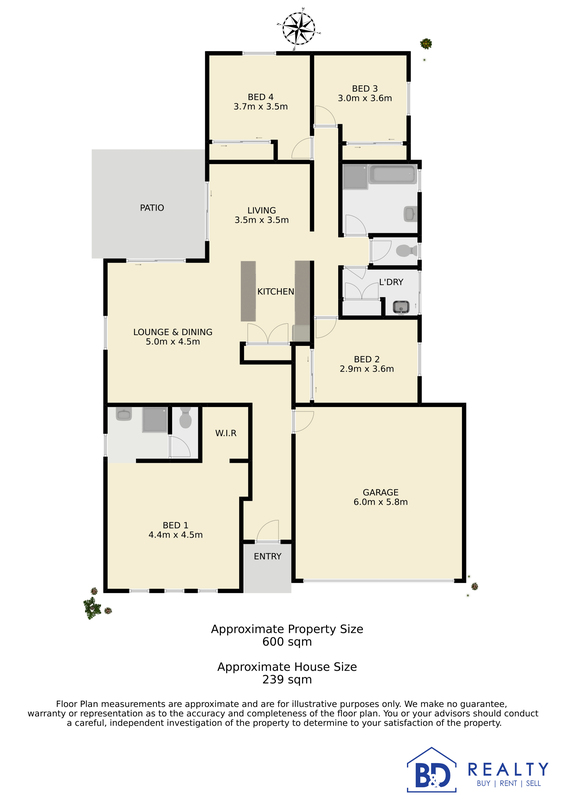 Don’t miss this opportunity to secure a great modern family home in Narangba.